Struggling today to keep on the straight and narrow. I am hoping that this blip can be put right with better planning. Breakfast was ok but lunch and dinner I strayed above the 15 g mark - not excessively but enough for me to worry. My eating has been quite off the cuff with lots of guesstimating of fat contents. Alongside the poor planning I think it may be that time of the month quite soon. So I guess I should just be grateful that I have not gone overboard with chocolates. Here's to a better xenical tomorrow. Xenical - What can you eat? 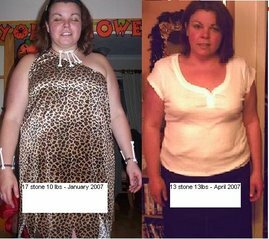 Can Xenical help you lose weight?